Call it whatever you want – digital transformation, the fourth Industrial Revolution, or the service economy – IoT is driving the enterprise into new services. I imagine CEOs of enterprises all over the world having to ask themselves: What am I missing about IoT? Like the elephant and the blind monks, the possible tactical implementations of IoT can convince the team that they get IoT. 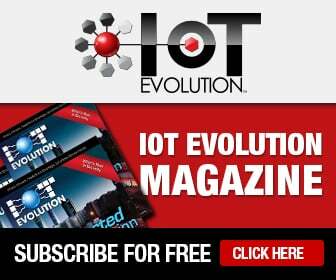 If you look at the IoT Evolution Expo agenda you will see the practical solutions for IoT. However, the practical does not get you to the strategic innovation that IoT can deliver. I added to the program the CEO Innovation Summit to enable the strategists and innovators to gather and learn how they can make sure their companies are prepared for the future. A friend who has lived through several IT transformations – from PC, to internet, the web, to mobile, to the cloud – points to some specific patterns. IT’s role is very rarely to be the advocate for change in technology. In most companies, it’s ops that sees the benefits of adoption. However, without IT’s participation, there can be no the transformation into institutional success. Often operations’ quickest way to adoption is to implement the technology without integration to the overall management strategies. Major companies have found that they have to outsource their IoT implementation entirely, because internally the resources did not understand the migration. Others like GE developed a practice internally that’s so strong that it has become a separate line of business. We are in the midst in the industry of a great consolidation of businesses. I have been told the average life expectancy of a Fortune 500 company is less than five years. How does a CEO determine whether his company has the ability to transform? James Brehm of James Brehm & Co., when consulting enterprises, suggests they start with an assessment of their internal resources and adaptability. Joe Mazzeo of Crossfire Consulting has always told me to ask companies what is their unit of measure for success. Often that unit of measure does not equate to customer requirements but an internal and often arbitrary measurement of success. If the unit of measure is not externally driven, it’s likely that it has nothing to do with the transformation needed for future success. Besides, the assessment surveys are often used including day in the life exercises to understand the unit of measure that makes the transformation occur. When Elon Musk came to NASA to talk about SpaceX he did not talk about destinations or cost of the rockets but the price of thrust. He fundamentally rethought the way rockets were to be launched. I don’t expect our CEO Innovation Summit to be that dramatic, but I believe we are going to help enterprises find their strategy. Please feel free to join us.